The attempt to justify the 2015 deal with Iran, as being the only viable alternative to allowing it to develop nuclear weapons, is both infuriating and disingenuous. The prime minister of Israel is deeply opposed to it, I think he’s made that very clear. I have repeatedly asked, what is the alternative that you present that you think makes it less likely for Iran to get a nuclear weapon? And I have yet to obtain a good answer on that. — Barack Obama, on the 2015 Iran nuclear deal, Office of the White House Press Secretary, April 11, 2015. President Obama has been crystal clear. Don’t rush. We’re not in a rush. We need to get the right deal…No deal is better than a bad deal. And we are certainly adhering to that concept. — Obama’s Secretary of State, John Kerry, “No deal is better than a bad deal”, Politico, Nov. 10, 2013. Why would the mullahs cheat on a deal as good for them as this one?…Simply put, this is one terrific agreement for Tehran. And Iran is likely to have no interest in violating it…It’s the cruelest of ironies that Iran is reaping huge rewards for giving up something it wasn’t supposed to be doing in the first place. 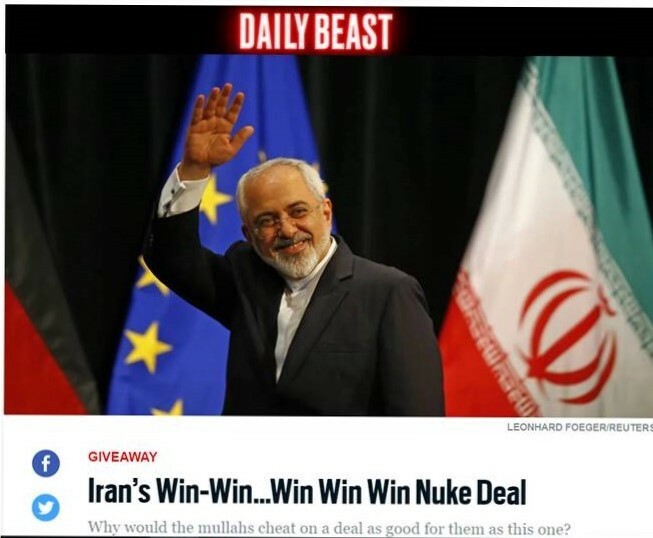 — Aaron David Miller, “Iran’s Win-Win…Win Win Win Nuke Deal”, Daily Beast, July 20, 2015. 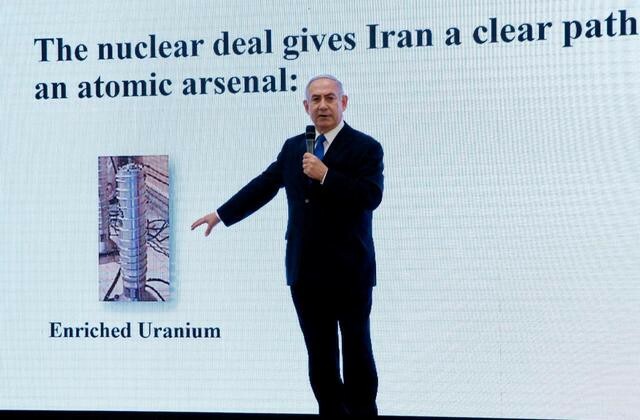 The Iran nuclear deal, concluded in July 2015, was catapulted back into the headlines on Monday, when Prime Minister Benjamin Netanyahu revealed that the Israel intelligence services had managed to spirit away a huge trove of documents from the heart of Tehran to Israel. The documents prove that, in contradiction to public declarations of it leaders, Iran had, indeed, planned to produce nuclear weapons, to develop the ability to deliver them by means of ballistic missiles, and had secretly stored the information in an undisclosed location — presumably for use at some future date, chosen by the Iranians. After all, if this was not the Iranian intent, why bother to store them at all — never mind surreptitiously conceal such storage? Reactions to Netanyahu’s exposé ranged from the fervently enthusiastic to the dismissively blasé, with opinions being roughly divided between those who opposed the 2015 deal; and those who endorsed it — the former seeing it as a telling endorsement of their prior position, the latter, refusing to be moved by the revelations. Those who would attempt to diminish the significance of the remarkable intelligence coup, by claiming that what Netanyahu revealed produced nothing substantially new, or anything demonstrating that Iran had breached the 2015 deal, largely miss the point. Indeed, it is difficult to know what is worse — whether these claims by the deal’s adherents (or more accurately, apologists) are true, or whether they are not. For if they are true, then the deal was signed with the co-signatories fully aware that the the deal was “born in sin”, and based on blatant deception and deceit on the part of the Iranians — to which they were willingly complicit. Alternatively, if they are not true, then the co-signatories were blatantly hoodwinked by Tehran, and are now disingenuously trying to deny their incompetence and gullibility. For the real point brought home by Netanyahu’s revelation is not that the deal has been violated, but that it should never have been made in the first place. As former senior State Department official, and today Vice President at the Woodrow Wilson International Center, Aaron David Miller, points out, the absurdity of the deal is that it awards “Iran … huge rewards for giving up something it wasn’t supposed to be doing in the first place” (see introductory excerpt). Indeed, if anything, Miller understates the absurdity. For, in fact, the deal does not really require Iran to “give up something it wasn’t supposed to be doing in the first place”, but merely to suspend it. Worse, under the terms of the agreement, Iran was essentially allowed — even empowered — “to continue doing things it wasn’t supposed to be doing in the first place” — like developing ballistic missiles to carry nuclear war-heads, fomenting and financing terror across the globe, and effectively annexing other countries–either directly (as in Syria) or by tightly-controlled proxies (as in Lebanon). In light of all this, the two major claims advanced by the deprecators of Netanyahu’s exposé — i.e. (a) that they heralded nothing new; and (b) indicated no breach by Iran — appear to be specious indeed. After all, since Netanyahu divulged only a small fraction of the seized material, it is somewhat premature and prejudicial to determine whether there are any new, previously unknown elements of any consequence in it. 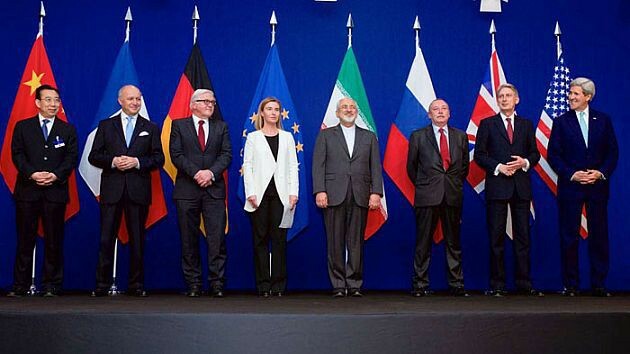 Moreover, as it stands at the moment, it is impossible to know whether Iran is adhering to the deal, or violating it. For it is precisely in those locations, where such violations are likely to take place — its military sites — that Iran has refused to allow inspections! Thus, according to an August 2017 report by Reuters, Iran brusquely dismissed a U.S. demand for nuclear inspectors to visit its military bases as “merely a dream”. 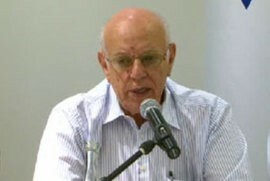 Accordingly, given the telling evidence provided by Israel that Iran lied consistently about its weapons program in the past, and given the faulty inspection regime in place today, the cardinal question should not be whether there is any compelling proof that Iran is in breach of the nuclear deal, but whether there is any such proof that it is in compliance with it. For, as he correctly notes: “Had Iran wanted to prove it had abandoned any nuclear weapons-related program it should have consented to opening up its archives, sites and materials to international inspections. It did not do this because this is not its intention”. In concluding his article, Asculai calls on Netanyahu to map out alternatives: “The prime minister should have presented the possible solutions,” and urges: “It is not too late to do so”. The attempt to justify the deal with Iran as being the only viable alternative to allowing the Islamic Republic to develop nuclear weapons is both infuriating and disingenuous. 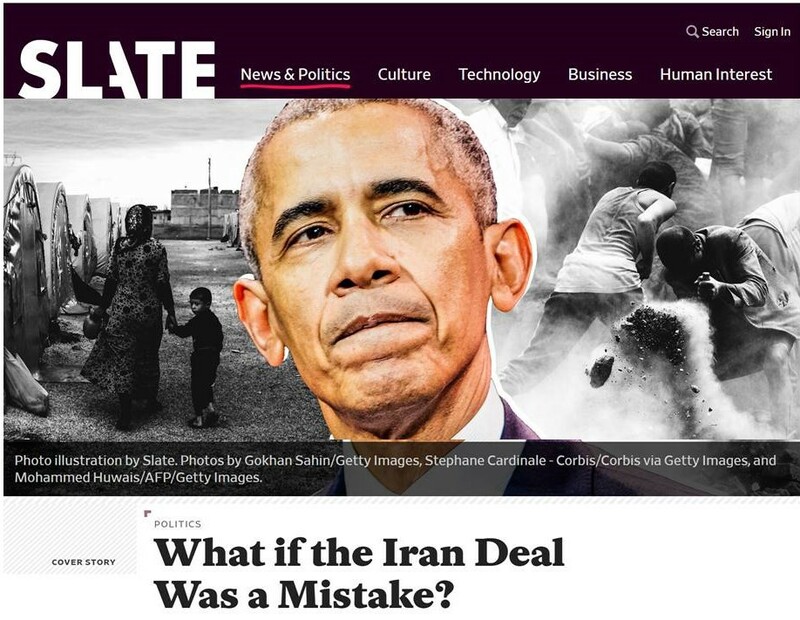 Moreover, the claim of “no alternative’ is disingenuous because it was none other than Obama, who laid out the alternative to the current deal — which assures Iran’s weaponized nuclear capability, permits the production of missiles that can threaten European capitals, provides funds to propagate terrorism and to destabilize pro-US regimes. After all, in Obama’s own terms, the alternative was “no deal”! Indeed, it was not that opponents of the deal did not offer cogent alternatives. It was that the proponents designated–and apparently still designate — anything that Iran did not agree to as “impractical” or “unfeasible”. Clearly, if the underlying assumption is that the only “practical” option is a consensual one — i.e. one which Tehran willingly accepts; rather that a coercive one — i.e. one which Tehran is compelled to accept, say, by intensified sanctions, backed by a credible threat of military action — then the proponents of the deal might be right that there was no “available” alternative. But by this, they are cutting the ground from under their own feet — and the very logic underlying the deal they endorse. Indeed, the very assumption that if the deal is abandoned, Iran will acquire nuclear weapons, virtually ensures that it will. For, if the Iranian leadership believes that co-signatories were unwilling to confront a weak, impoverished, non-nuclear, pre-deal Iran with a convincing coercive threat, why would it possibly believe that they would be willing to do so with a greatly empowered and enriched, near-nuclear, post-deal Iran? Accordingly, if the US and its allies were not willing to confront Tehran with a credible specter of punitive, coercive action, which will compel it to abandon its nuclear program, then clearly there is no inducement for it to adhere to the deal — making its future abrogation inevitable…at any time Iran deems expedient. That is the true — and chilling — significance of the unfounded contention that there is “no other viable alternative”.